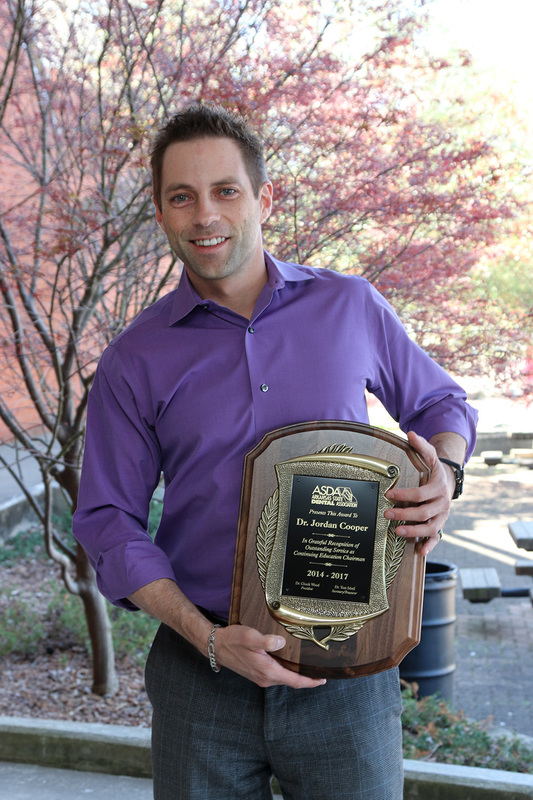 Jackonsonville, AR, March 22, 2017	(Newswire.com) - Dr. Jordan Cooper, of Cooper Family Dentistry, located in Jacksonville, Ark., was honored with an accolade by the Arkansas State Dental Association (ASDA) for serving three years as continuing education chairman. He was awarded the recognition at the 2017 ASDA Annual Session which was from March 17 to March 18 in Little Rock. “Arkansas Dentistry has been a rewarding journey and I was very humbled to receive this award,” Dr. Cooper said. “I also look forward to moving on to the next chapters in my dental career. Look for bigger things to come!" Dr. Cooper provides comprehensive dentistry, including a focus on dental implants. Dr. Cooper has been placing dental implants since 2006 and continues to pursue education to ensure his patients receive the best possible care. He is passionate about his community and is involved in many community-oriented efforts. Dr. Cooper recently released his bestselling book, Chasing the Blue Marlin, which teaches readers new methods in which to pursue passions and to create success. The ASDA is a voluntary membership organization comprised of licensed dentists in the State of Arkansas, according to the association’s website. The ASDA represents and supports the dental profession in its efforts to provide high quality, ethical oral health care to the public. Cooper Family Dentistry is a family-operated dental practice which is led by a father-son duo: Dr. James Cooper and, son, Dr. Jordan Cooper, along with Dr. Rachel Baker. The dentistry is focused on providing quality dental care and to helping all patients achieve optimal oral health. Cooper Family Dentistry offers an array of services from comprehensive/preventive care, cosmetic dentistry, restorations, dental implants, to oral/maxillofacial surgery, orthodontics/braces and more. Cooper Family Dentistry congratulates Dr. Jordan Cooper for his hard work and the well-deserved honor! Cooper Family Dentistry is a comprehensive dental practice located in Jacksonville, Ark. Cooper Family Dentistry is a family operated dental clinic, led by a father-son duo, which is devoted to restoring the natural beauty of your teeth. Services offered include a wide array of procedures ranging from comprehensive/preventive care, cosmetic dentistry, restorations to oral surgery and more. Cooper Family Dentistry is dedicated to giving patients something to smile about.